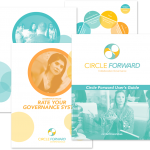 Through our own experience as facilitators and consultants, and through an investigation of the research on collaborative governance, our Circle Forward core team is proposing Eight Principles for Collaborative Governance in Networks (or networked organizations). 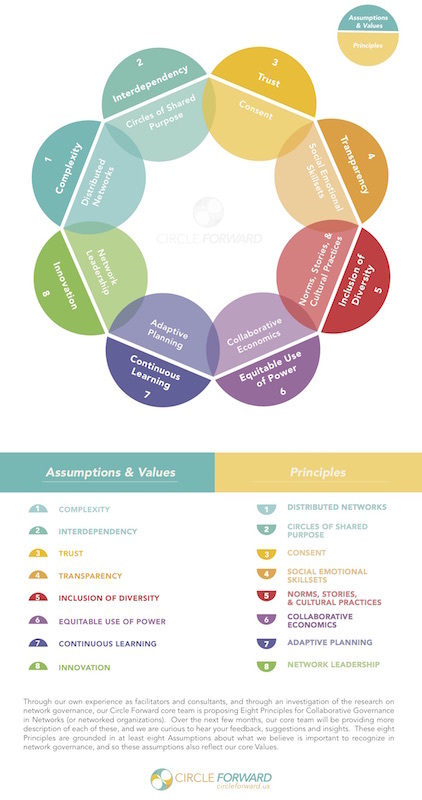 These eight Principles are grounded in at least eight Assumptions about what we believe is important to recognize in network governance, and so these assumptions also reflect our core Values. Over the next few months, our core team will be providing more description of each of these, and we are curious to hear your feedback, suggestions and insights.